Ever wanted the chance to help with the development of a game? Well now you can get that chance with GTA V’s multiplayer. There’s a post on Rockstar’s blog where it states the company is looking for gamers’ feedback on how to best incorporate the Crews system from Max Payne 3. 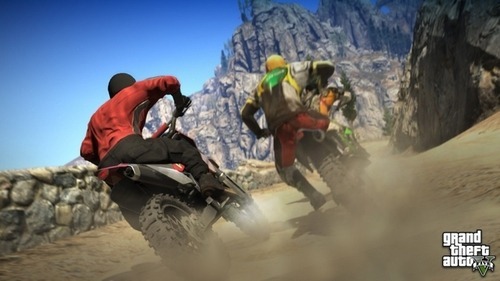 The post says, “As we’re busy working on Grand Theft Auto V, we’d like to take this opportunity to ask all of you for your feedback, input and ideas for features you’d like to see created for Crews in the game. “Whether it’s suggestions for competitive in-game Crew features in Multiplayer, new ways to manage and recruit, ideas for enhancing Social Club Crew pages and leaderboards, things you did and didn’t like about Crews in Max Payne 3, or any thoughts at all related to Crews really that you’d like to share - we’re all ears. So what exactly is the Crews system? In Max Payne 3’s online multiplayer, gamers can join private or public gangs to take on other rival gangs. As you battle these gangs, you earn XP that unlocks new items for your character. Feuds can even break out between rival gangs; leading to some bloody gunfights. Crews already made in Max Payne 3 can be carried over to GTA V.
GTAVCrewFeedback@rockstargames.com and tell them your suggestions. Check out GGN’S review on Max Payne 3 and see if it’s a game for you.